Comfortable, cozy, airy and well furnished apartments in a new building. 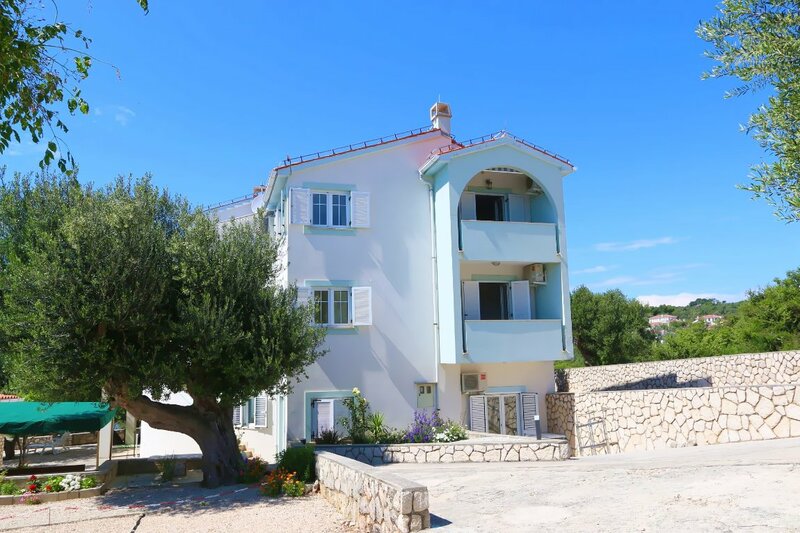 Located on the island of Pag, Jakišnica place, 12 km distanced from Novalja (towards Lun). All rooms and apartments have a balcony, loggia or terrace with a view on the sea. Capacity: A1 - 6+1, A2 - 4+1, A3 - 2+2, A4 Studio - 2, A5 - 2+2., A6 - 4+1 . Nearest sandy beach: 100 m. The guests can use the courtyard and terrace with tables and deck-chairs in the shade of centuries old olivetrees for a daily relaxation. Free internet connection (WiFi) and parking lot.